Expertly steamed whole milk poured over two shots of espresso, topped with microfoam swirled into beautiful latte art. The coffee coinnesseuirs choice originally from Antipodean roots combines Starbucks signature Espresso Roast and freshly steamed milk with microfoam, expertly handcrafted and served in our Flat White cup for a genuine Flat White experience. 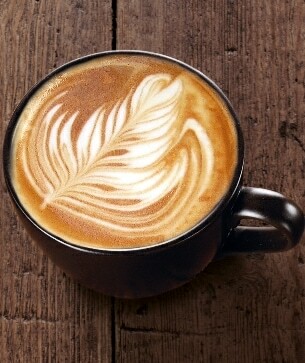 The Flat White was reportedly created in the early 1980s in Sydney, Australia. Although others claim that this was being drunk earlier than this in the 1970's in Melbourne.